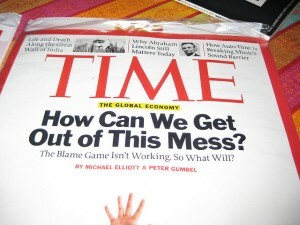 TIME magazine has been on a rampage to be more edgy to attract younger readers. With articles like “Ellen DeGeneres and Portia de Rossi Try to Break the Internet With Their Holiday Card” and “Benedict Cumberbatch Tries to Get Jimmy Fallon to Say ‘Booty,’” it seems that TIME is trying a bit too hard to blend in to the point where they are sacrificing their reputation. Recently, the magazine posted a poll asking readers to decide which word should be banned in 2015. Among these words are “bae,” “basic,” “kale,” “literally,” “bossy,” and “feminist.” TIME has blurbs for each word, explaining exactly why they made it onto the poll. The magazine claims that the word is simply a cause for celebrities to get behind, and says, “Let’s stick to the issues and quit throwing this label around like ticker tape at a Susan B. Anthony.” Clever, but the joke misses its mark. Feminism, for various reasons, has become something women fear to associate with. They are attacked and stereotyped for identifying as one. I find this absolutely insane, considering that feminism is asking for gender equality. Celebrities and politicians have a need to get behind this issue because it is still an issue. It should not still be an issue in this day and age, but it is, and the fact that people are getting shamed for supporting the cause – no matter how extreme their support may be – is mind-boggling. Of course, TIME’s editor Nancy Gibbs left a note on the page, expressing regret for the inclusion of the word. I, for one, do not find this excuse at all forgivable. As such an established and well-known publication, TIME should have known better. Perhaps in the race to attract younger audiences, TIME should take a step back and evaluate the direction in which they are going as a magazine.